Koriyama is the second largest city of Fukushima Prefecture, and is known as the "commercial capital of Fukushima". The city prospered since the Edo period (1603-1868) when it became an important way station along the way between today's Tokyo and Sendai. In 2011 Koriyama was very closely involved in the terrible nuclear accident at the Fukushima plant, about 60 km away. There are no big attractions in Koriyama, it's a place where to enjoy the everyday life of a medium-sized Japanese city off the tourist track. The city is also very active culturally, especially in the field of art and music, and has earned over the years the reputation of having some of the best choirs in Japan. A massive skyscraper standing outside Koriyama station (west exit), the tallest building in the city and one of the highest in the entire Tohoku region. It is the Koriyama Big-i, 133 meters high and completed in 1991. The building mostly houses offices and schools, except in the first 5 floors, where there are several cafes and other commercial activities, and in the top floors. The 22nd floor is freely accessible and is an observation deck (opening hours 10-20) from which you can admire the whole city from above. 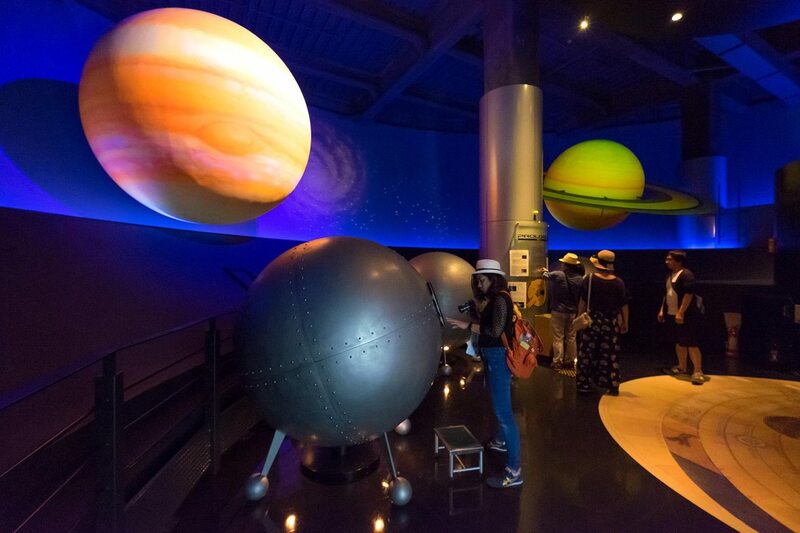 On this floor there are also a cafe, some dioramas representing the city of Koriyama in different historical periods, and the entrance to a planetarium, the Fureai Science Center "Space Park". In one of the elevators to go up to the upper floors of the skyscraper, once the doors are closed, some light effects start. Koriyama City Fureai Science Center "Space Park"
A sort of museum on astronomy targeted mainly to children, opened in 2001 and located between the 20th and 24th floors of the Koriyama Big-i. The main attraction is its Space Theater, a planetarium inside a dome which is 23 meters in diameter and has 234 seats. The dome is located between the 23rd and 24th floors of the building and is clearly visible from outside. Apparently, this planetarium is included in The Guinness Book of Records as the world's tallest planetarium (104.25 meters). According to the official guide of the city of Koriyama it is the most beautiful temple of the city of Koriyama. It is also very old, its foundation dates back to the year 807. This temple is located just 15 minutes walk from Koriyama station, within the city center. An oasis of peace and spirituality in the heart of the city with a well-kept garden that also includes some cherry trees. A small park about 15 minutes walk from Koriyama station. Founded in 2003, this park has been designed to withstand natural disasters, all buildings are earthquake-proof and a warehouse houses 50 m³ of water, capable of providing the needs of 5600 people for 3 days. During the day you may notice groups of people attending gardening or Ikebana classes. Another park, a short distance from the 21st Century Memorial Park. Inside there is the Asaka Canal Hayama Waterfall, a small symbolic waterfall that commemorates the construction of the Asaka Canal in 1882, a work at the time very important that allowed the rapid development of the city in the following decades. 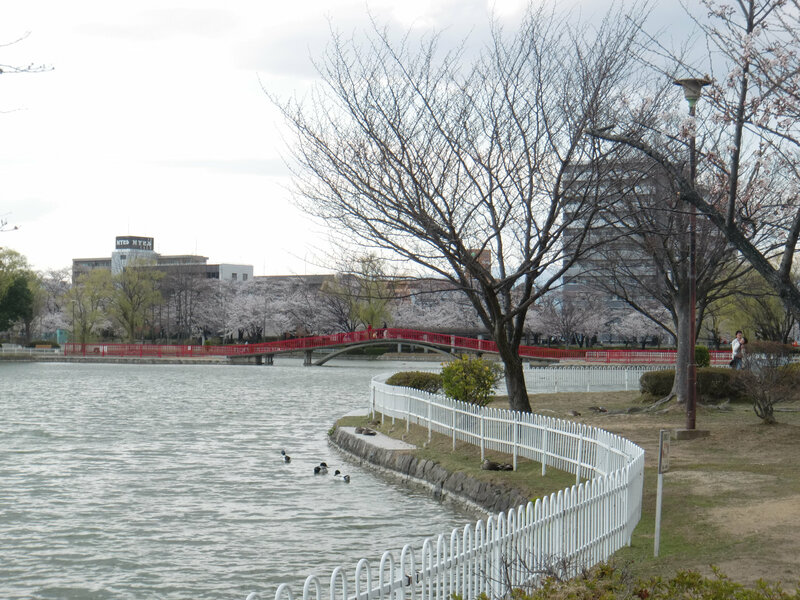 A large, quiet city park about 2.5 km west of Koriyama station. Inside there are some sports facilities and a pond surrounded by cherry trees and crossed by a bridge, which in spring becomes one of the most beautiful places in the city where to admire the cherry trees in bloom. The city museum, home to several exhibitions throughout the year. Here you can find the schedule. 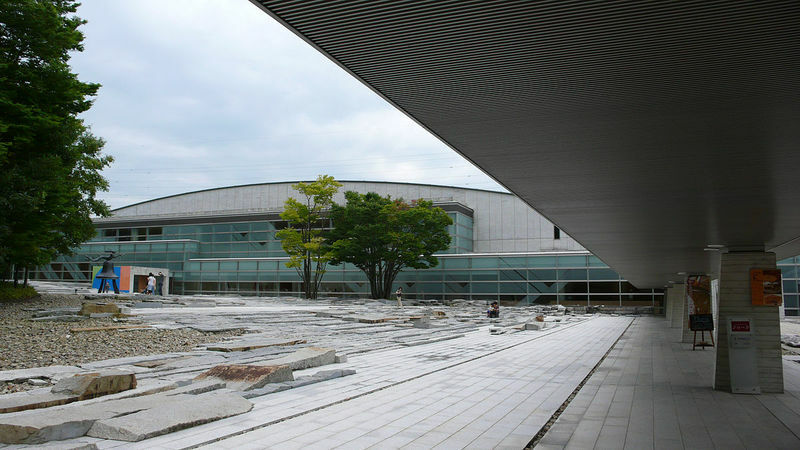 The permanent collection is divided into 4 main sections: 1. works of modern English painters (for example William Turner and Edward Burne-Jones), 2. works by modern Japanese painters of the Meiji period and later periods, 3. glass works of Junshiro Sato and other artifacts of different artisans who have had relations with the city of Koriyama, 4.a collection of books with artfully crafted covers. It is located about 3 km east of Koriyama station, surrounded by greenery. By bus you can reach it in 8 minutes (get off at Koriyama Bijutsukan stop). This museum is housed in a former middle school building built in 1884 with a western architectural style. The old name of the school was Fukushima-ken Jinjo Chugakko (福島県尋常中学校). The school was then converted into a high school in 1948, and later moved to a new building built behind the old one, which became part of the national cultural heritage. Inside you can see the furnishings of the original school, a large collection of ancient books and various objects related to famous people from Koriyama. A complex of four small original buildings dating back to the early Meiji era (1868-1912). In these buildings it is possible to observe certain western architectural elements that had not yet been introduced in Japan when this building was constructed. Inside, you can something about the construction of the Asaka Canal in 1882, a very important work at the time that allowed the rapid development of the city in the following decades. This hotel is located just 500 meters from Koriyama station and is the only branch of the city of the excellent Dormy Inn hotel chain. Like all Dormy Inn hotels, this also offers clean and comfortable rooms, public baths and sauna on the top-floor, complimentary coffee, a free ramen every night. The breakfast buffet, excellent, is on payment. Highly recommended as all Dormy Inn hotels. A good hotel located just 400 meters from Koriyama station. There are several restaurants inside this hotel, including a panoramic one. Rooms are quite spacious and recently renovated. Fantastic breakfast buffet sometimes included in the price. Not far from this hotel, there is also another hotel belonging to the same group and also recommended, the Koriyama View Hotel. Unlike the Annex, the latter has not recently been modernized and has a more "old-fashioned" decor. The best hotel near Koriyama station, located in a large building opposite the station, it couldn't be closer. Inaugurated recently, the whole structure is brand new, clean and modern. Slightly more expensive than other hotels in the area, but it also offers a better overall quality. 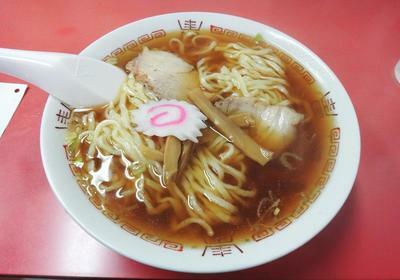 Kitakata-style ramen is considered one of the three most exquisite types of ramen in Japan together with the ramen of Hakata and Sapporo. Kitakata is a small town about 60 km from Koriyama, rarely visited by foreign tourists. If you are not planning a visit to Kitakata, try this fantastic ramen in Koriyama! The mamadoru are one of the typical sweets of the prefecture of Fukushima, one of the most characteristic creations of the chain of sweets Sanmangoku originally from Fukushima Prefecture. 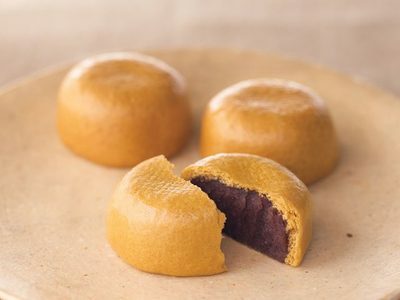 They are made from a kind of soft flour dough, filled with milky anko (sweet bean paste). You can find the mamadoru and other typical sweets at the main Sanmangoku store in Koriyama, a short walk from the station (see map at the bottom). 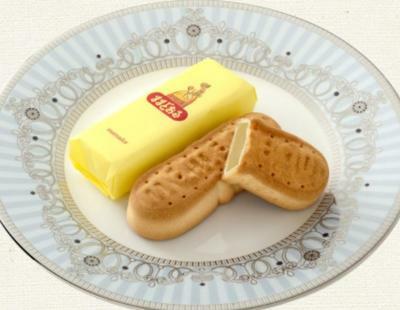 A confectionery of typical Japanese sweets with a history of over 150 years, born in Koriyama. In the map at the bottom you find the location of the main store, but there are also other smaller branches. Among the most famous Kashiwaya desserts, there are the so-called kashiwaya usukawa manju, one of the most famous kinds of manju (the typical Japanese sweet based on flour, rice powder and buckwheat) in the country. A restaurant where to have fun with the most famous Japanese meat dishes: yakiniku, shabu shabu and sukiyaki. The beef used in this restaurant is the so-called uneme beef, a type of Japanese black cattle bred locally and appreciated for its softness and sweetness. The central area of Koriyama can easily be explored on foot from Koriyama station. However, the city has a capillary network of city buses. Koriyama is a large city located along the way between Tokyo and Sendai, therefore it is easy to get there. Through the Tohoku Shinkansen you can quickly get to Koriyama station from Tokyo (80 minutes, 8,000 yen), Sendai (40 minutes, 5,180 yen), but also from Akita and Aomori. 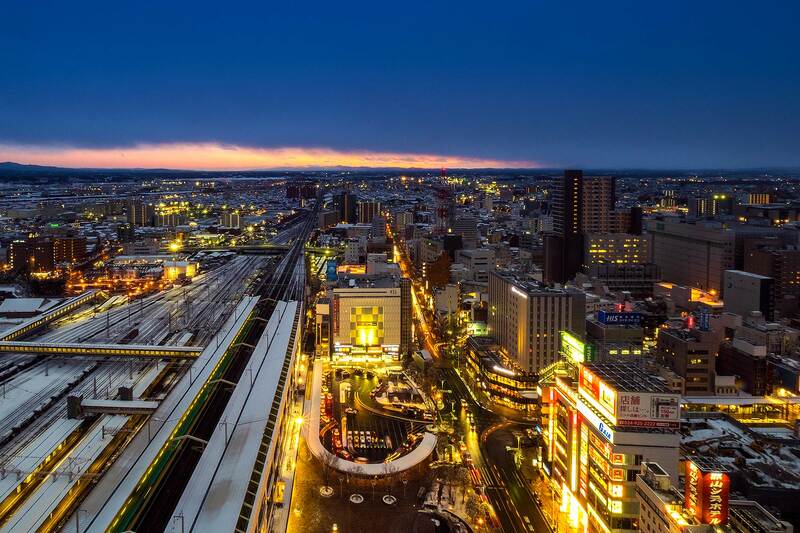 Koriyama station is located along the Tohoku Main Line, it is therefore possible to get to both Tokyo and Sendai by local trains, saving a little money compared to the shinkansen but also losing a lot of time. To Tokyo (Ueno station) it takes at least 4 hours (4,000 yen), to Sendai Station it takes about 140 minutes (2,270 yen). Several bus lines connect Koriyama with both Tokyo and Sendai throughout the day. Unfortunately, the information in English about these services is scarce, try to ask directly on the spot. This is the best solution if you want to save money. 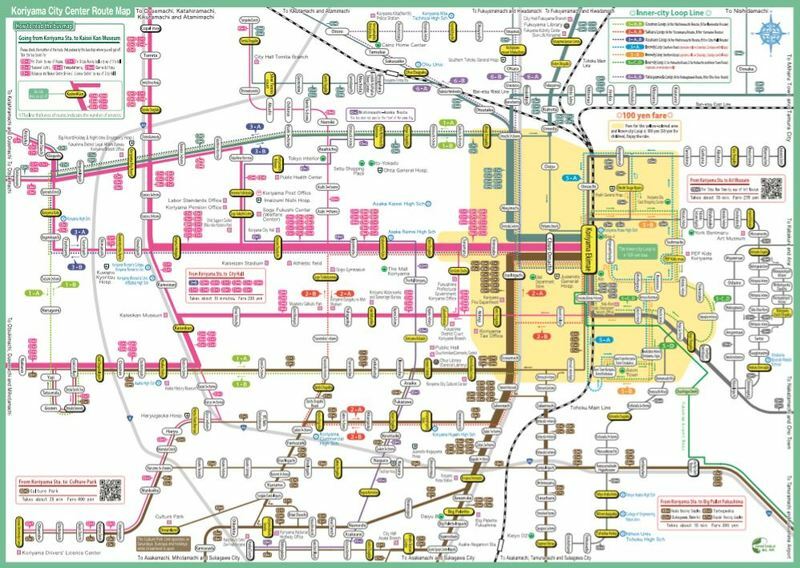 The nearest airport to Koriyama is Fukushima airport (FKS), a small airport located about 25 km south of the city, with few daily flights mainly to Osaka and Sapporo. Narita airport is about 4 hours by bus from Koriyama. There is a direct bus service between Narita and Koriyama. More information here.